The Alcazar (the theater’s original name) opened on April 27, 1928. 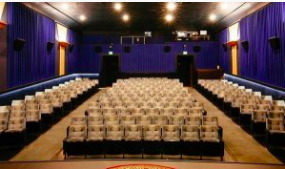 Owner, Henry J. Muller invested $50,000 to build the theater that builder Alex C. D’Alfonso claimed was “As Strong and Sturdy as the Rock of Gibralter”. The opening of the theatre prompted telegrams of congratulations from MGM, Paramount and Christie Films among others to the first proprietor of the theater, long time resident and actor Oliver Prickett (sometimes known as Oliver Blake) of “Ma and Pa Kettle” fame. Opening night at the Alcazar featured a live band and the premier showing of a comedy “The Fifty-Fifty Girl”….admission was $1.10. 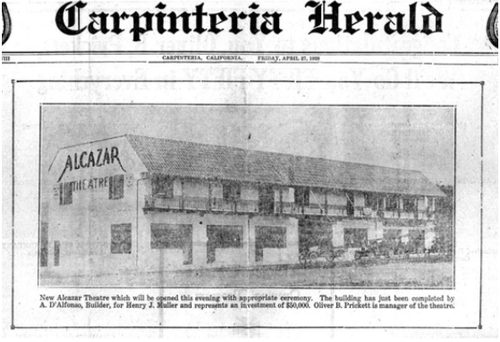 Through the 89 years to follow, the Alcazar changed hands and names…such as the Ritz, the Del Mar, the Tradewinds and for the past few decades, the Plaza Theater, most recently under the management of Metropolitan Theatres. 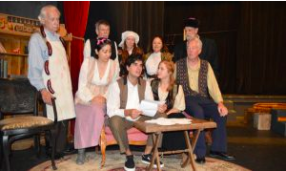 After almost a decade of being known as the Plaza Playhouse Theater, we’ve changed back to our original namesake — Alcazar Theatre — and look forward to returning our theater to a center of arts and entertainment for the entire Carpinteria Valley community.